Inexpensive drones are disruptive by themselves. And they’ll become even more so as battery life gets longer. But drones that require active control, and that require an active link between a controller and the drone are severely limited for many applications. Assassination: defenders can use EM shields, active EM-based attacks, etc. 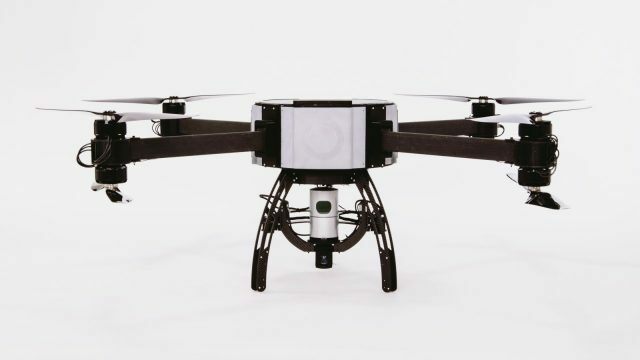 to disrupt the communication link between the operator and the drone, making it hard to get all the way to hidden or well-defended targets and harm them. Delivery: shipping drugs via drone is not incredibly useful because you’d have to be fairly close to the destination, and because the size of the drone vs. the weight of the delivered package isn’t necessarily economical. Both of these situations change significantly when you don’t require a link between an operator and the target or destination. If you can simply load up a drone, give it instructions, and send it on its way without an operator, you make it far more difficult to disrupt. For attack drones, you can’t use cheaper EM-based countermeasures to disrupt communications / targeting. And if the goal is to disrupt shipments, you lose the ability to disrupt control signal because there isn’t any. If you’re trying to protect a border, for example, imagine 30 foot black planes flying at night, autonomously, and then landing easily somewhere 50 miles on the other side of the border. We don’t have the tech for it now, but once it arrives it’ll arrive everywhere simultaneously, and improvements will propagate very quickly. The only thing keeping this from happening I think is potentially regulation. If it starts becoming extremely effective to do certain bad things, it could be that governments all over come to an agreement to outlaw the ownership, selling, and/or creation any type of drone equipment. Maybe if the penalties are severe enough, and enough people are visibly prosecuted, we might be able to stop the technique from becoming too widespread. But my intuition is that the tech will spread too quickly, to too many people, to be able to stop it. Even attack and delivery at a small scale could become useful, with rival gangs using teams of drone operators to target and take out rivals as well as to move content from place to place without detection. I think battery duration and cost of the drones are the main obstacles to mainstream adoption, and we could very well see those problems solved in the very near future.